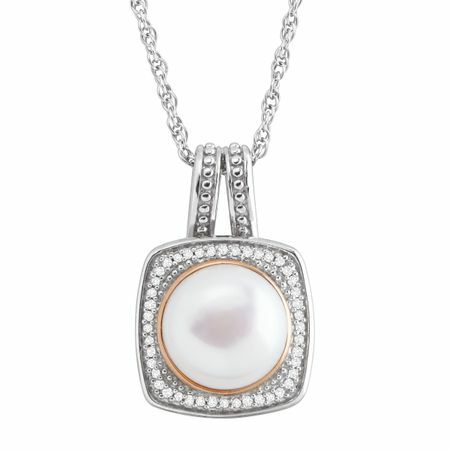 Featuring a 10 mm freshwater cultured pearl set in sterling silver with a plated ring of 14K rose gold, this piece is accented with diamonds totaling 1/8 ct along the square-faced pendant. Piece measures 7/8 by 9/16 inches. Comes with a sterling silver 18-inch cable chain finished with a spring ring clasp.